Auditors complain to the government. State defence concern Ukroboronprom did not allow the representatives of the State Audit Service to audit the group's enterprises, the chairman of the agency, Lydia Havrylova, told a briefing on Wednesday, 25 October. "Given a number of irregularities in the financial discipline of the concern, we informed the government about thу fact [of non-admission]. To get the real picture we planned an audit in order to investigate the effectiveness of the concern's management. However, public auditors were not allowed to the enterprises," she said. Havrylova said the Cabinet of Ministers has been informed about the incident. She declined to provide more detailed information. 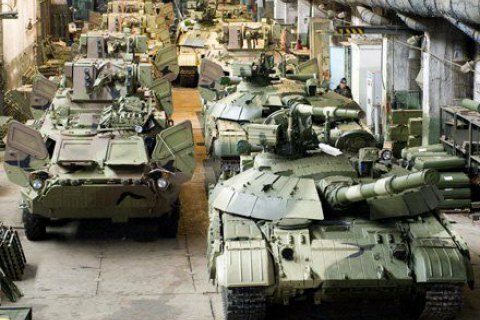 Previously, investigative journalists discovered that members of Ukroboronprom: Kyiv, Zhytomyr and Kharkiv armored plants have transferred 93 mn hryvnya to a shady straw firm.